Errand Tracker is more than a to do list. Errand Tracker allows you to share lists virtually and uses Errand Tracker technology to help plot out the fastest route, while keeping your lists organized and up to date. You get your errands done more quickly and without forgetting a single item. It's simple! 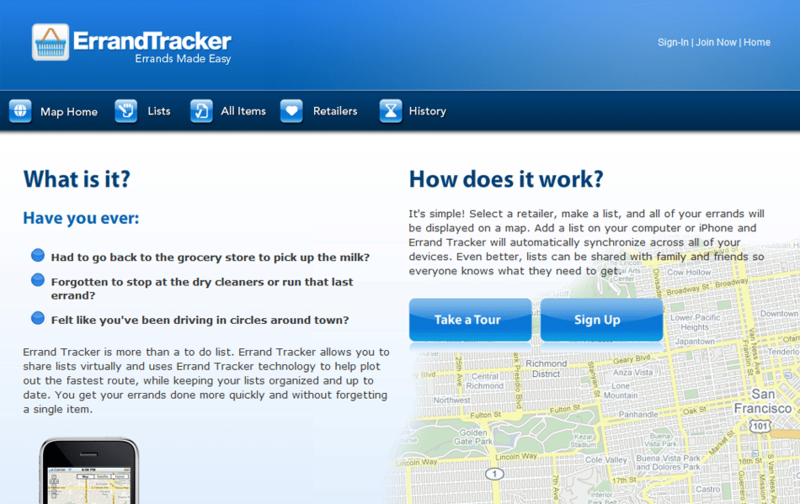 Select a retailer, make a list, and all of your errands will be displayed on a map. 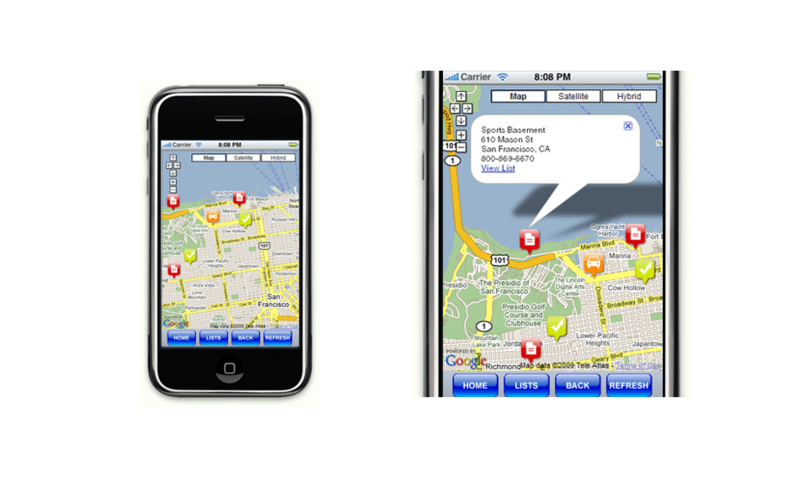 Add a list on your computer or iPhone and Errand Tracker will automatically synchronize across all of your devices. Even better, lists can be shared with family and friends so everyone knows what they need to get. GoingClear kicked off the project with an initial conference call with the client to gather the project's high-level functional requirements. The client was working with a tight three-month timeline making it important for GoingClear to clearly capture the functional specifications and set feasible deliverable dates. After approval of the project specifications and timeline GoingClear executed their highly visible development strategy and kept the client up to date on progress through bi-weekly status calls. The iPhone application development process required platform specific strategic work to ensure the desired interface and functionality was properly executed. GoingClear's completed application was delivered on time and met all of the functional requirements. 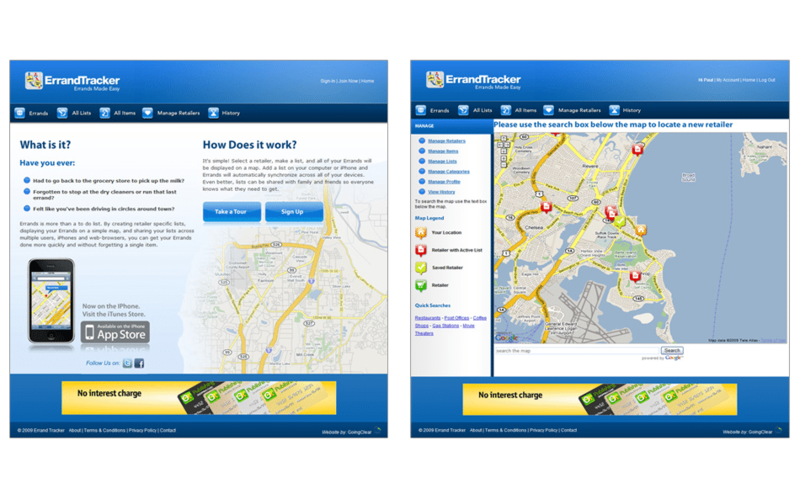 In addition Errand Tracker utilized cutting-edge technology and has a user-friendly interface, two significant client goals.